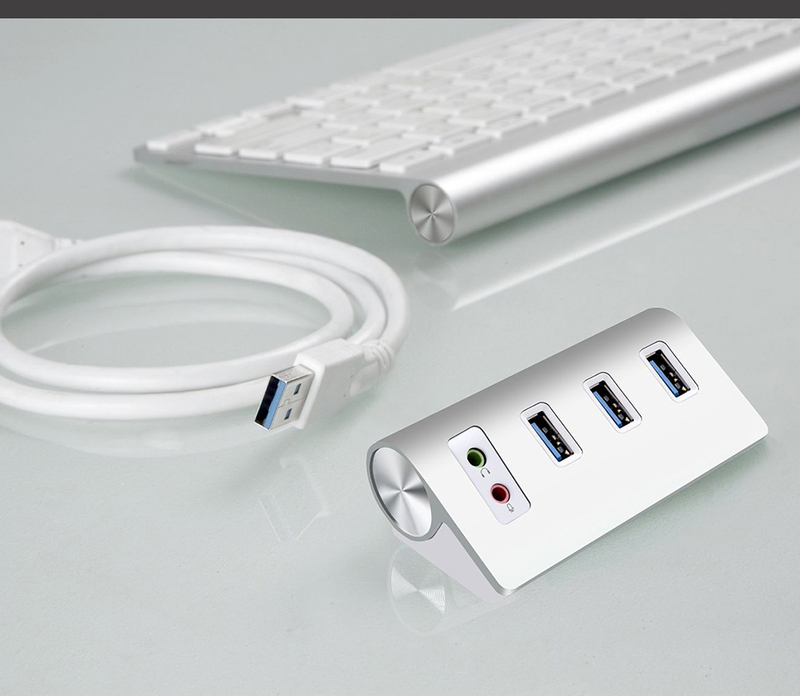 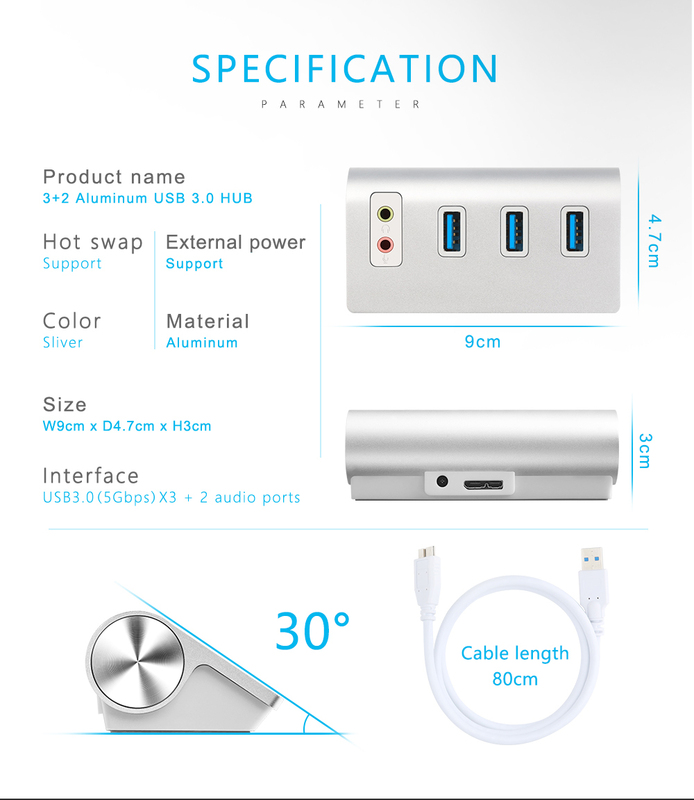 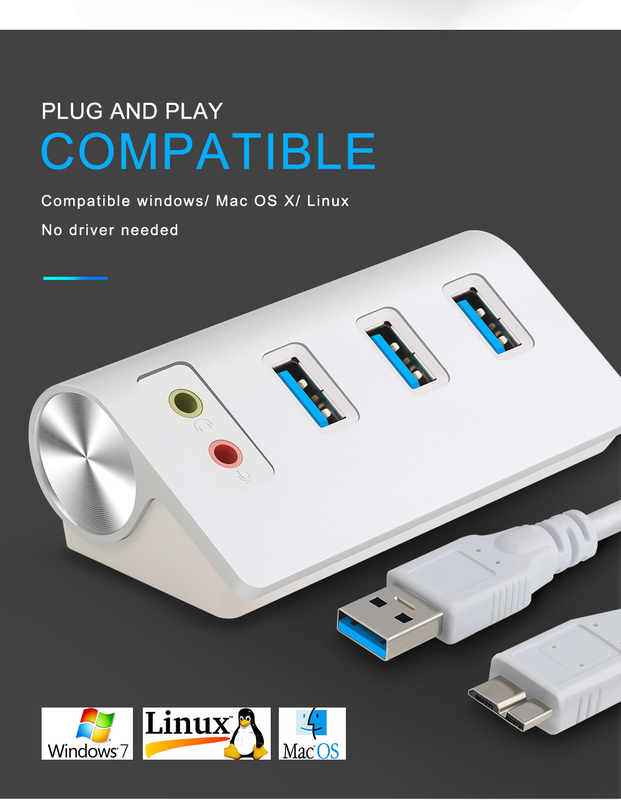 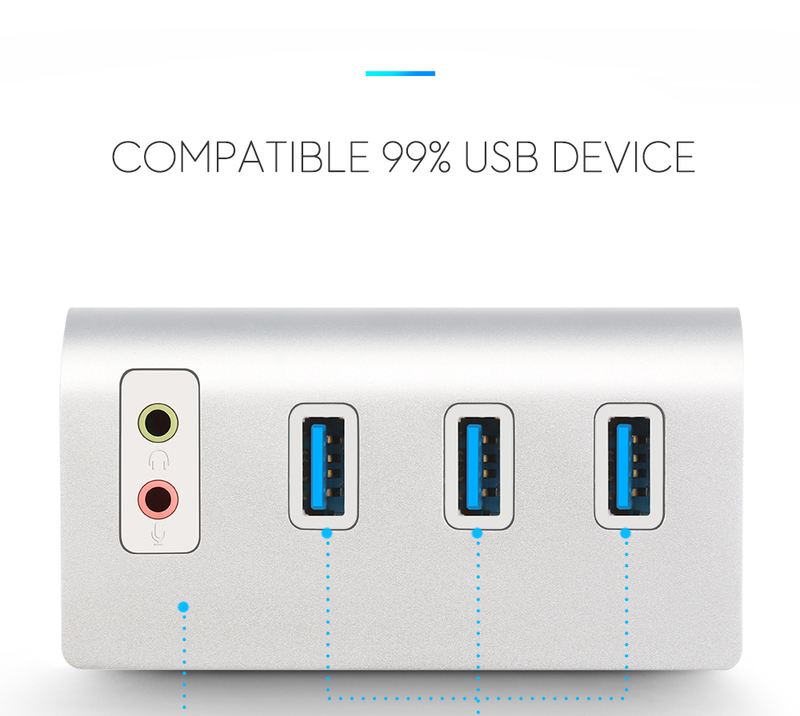 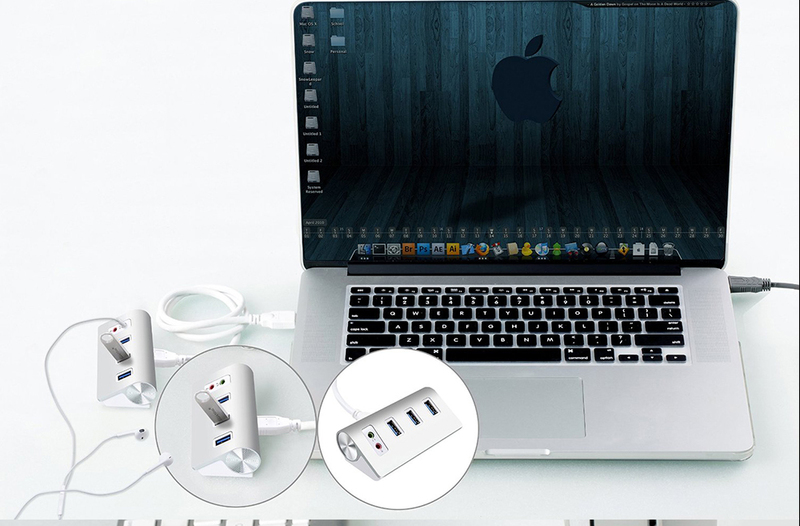 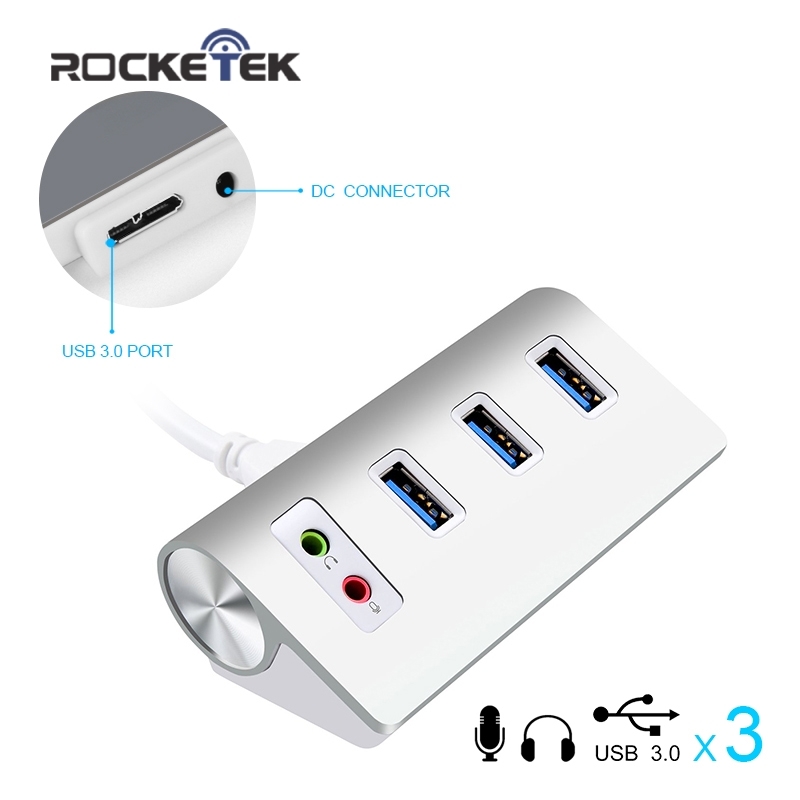 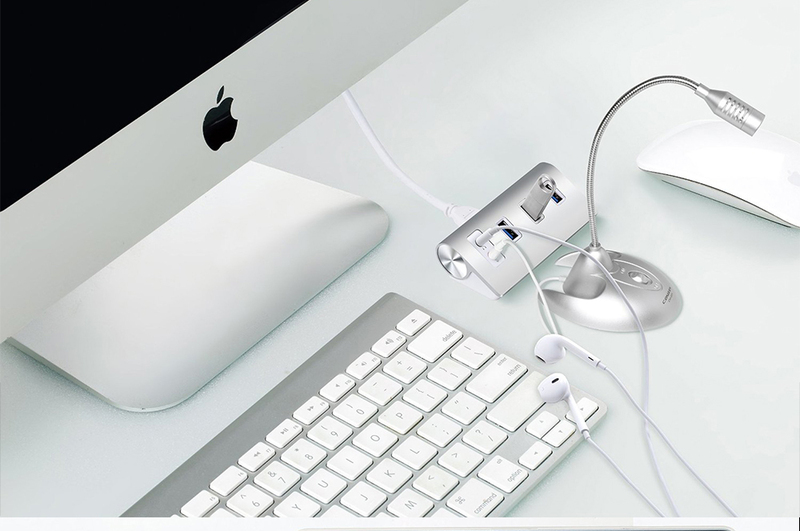 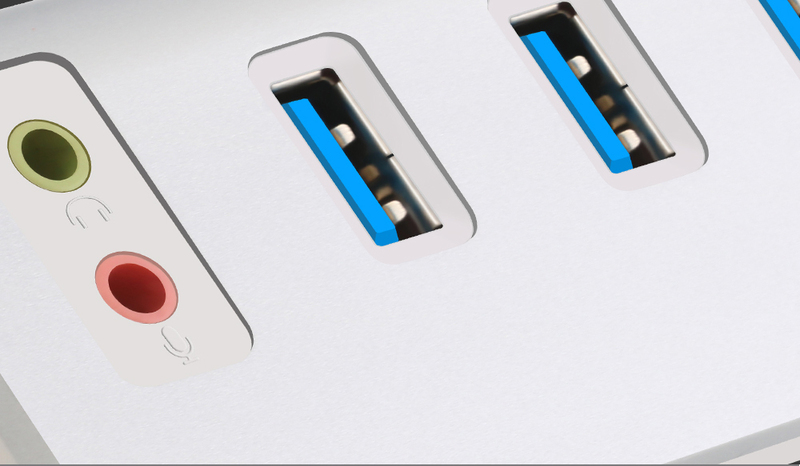 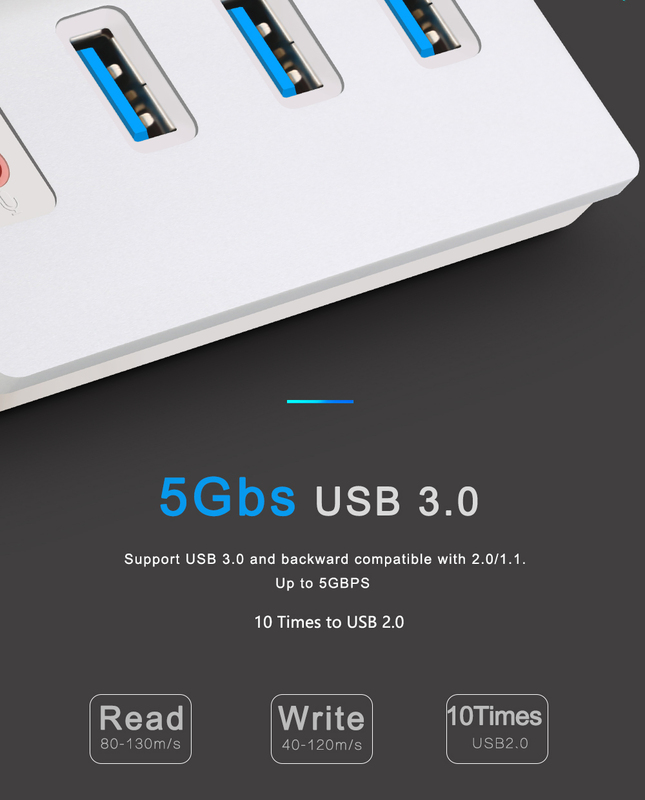 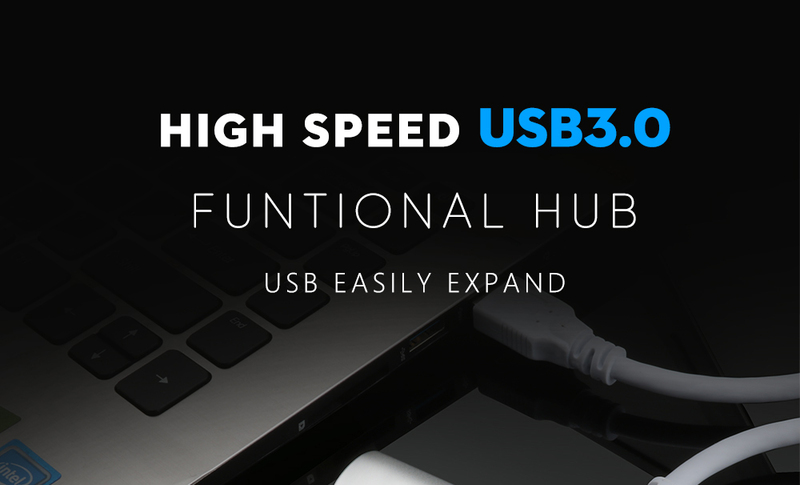 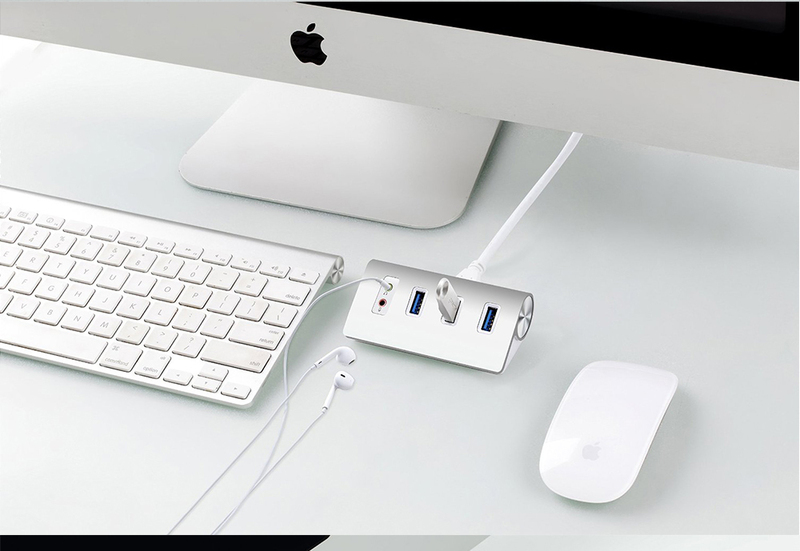 Cateck USB 3.0 3-Port Hub with Stereo Sound Adapter Combo is designed especially for laptops, tablets, and ultrabooks and expands one USB 3.0 high-speed port into three easily. 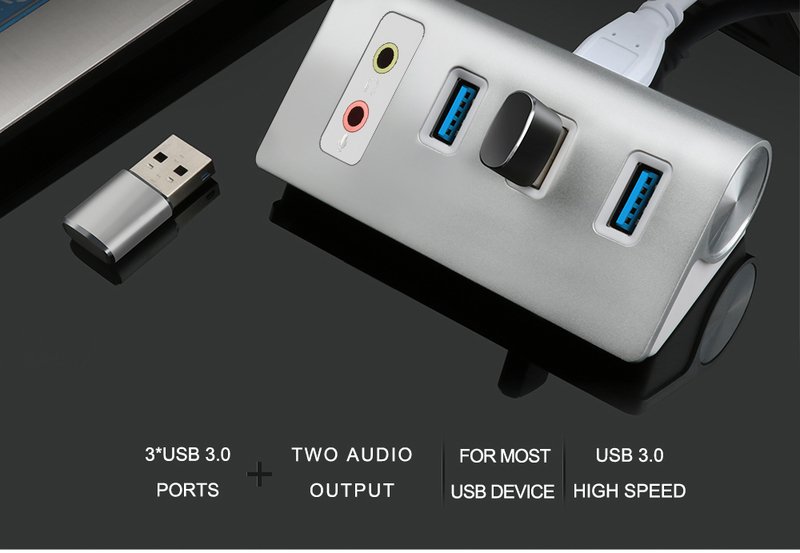 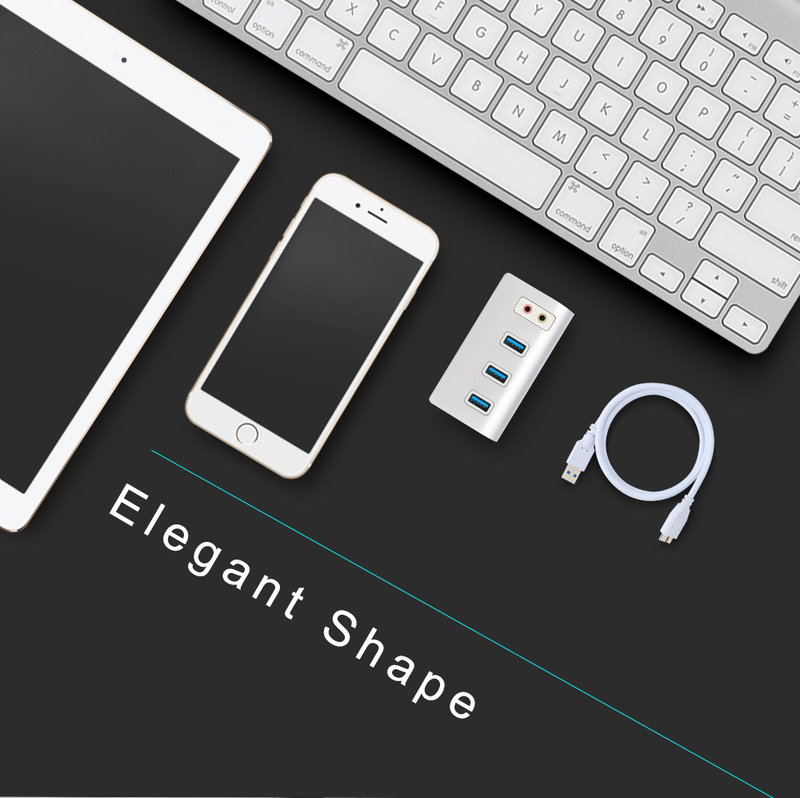 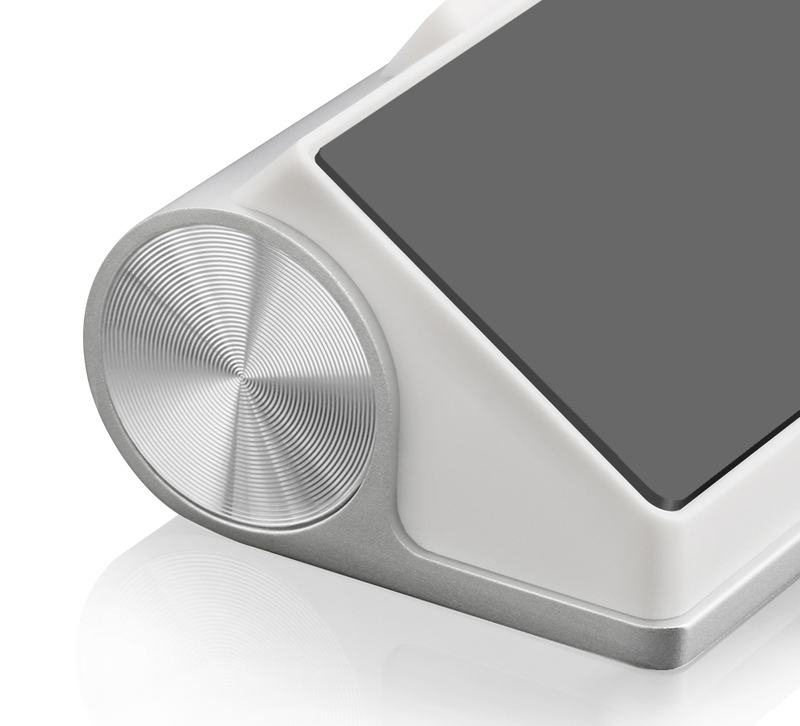 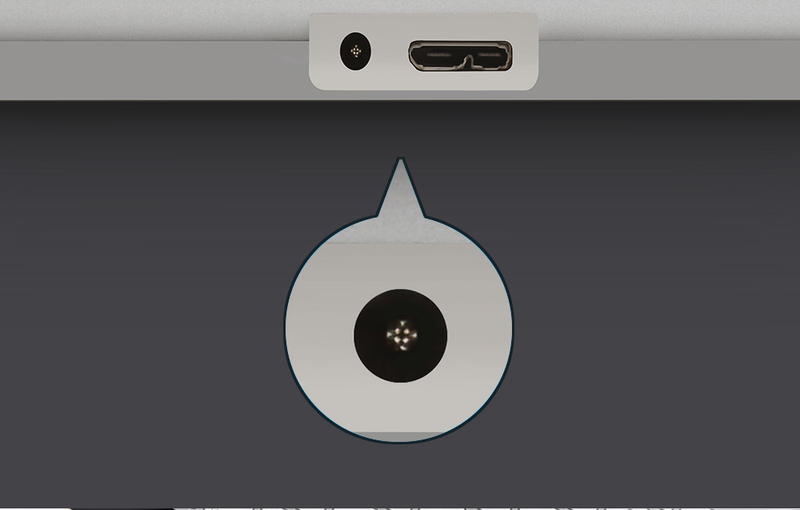 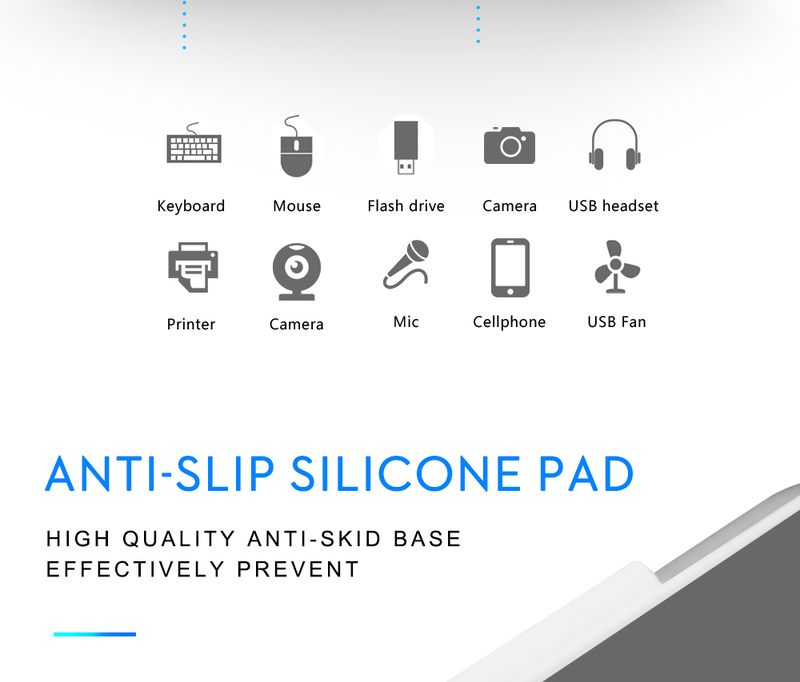 It is also a highly flexible audio interface, which can be used with either laptop or desktop system; Simply Plug the Sound Adapter into your USB port, and then plug your headphones into the Adapter. 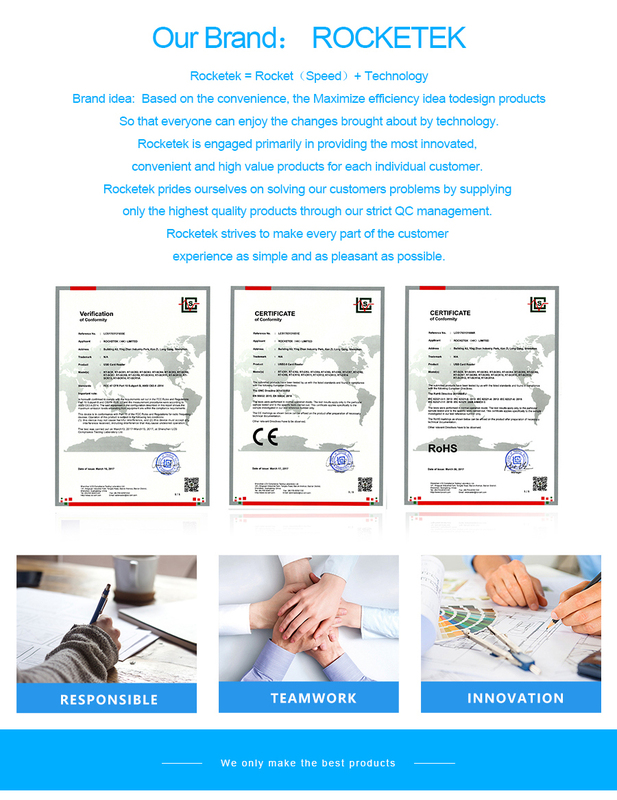 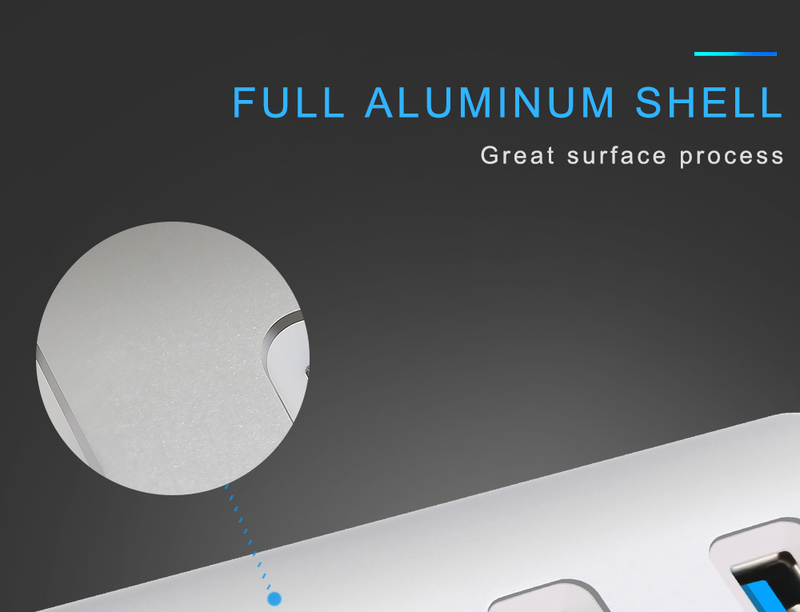 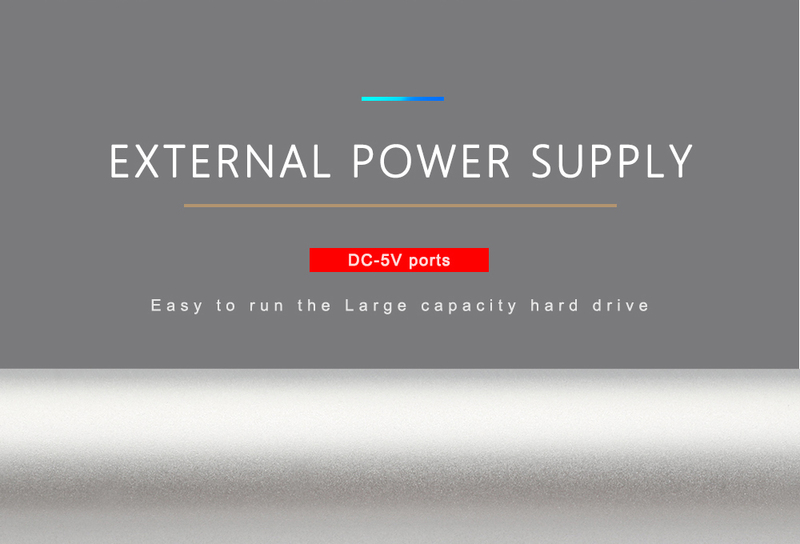 For stable operation, devices connected to this hub should not exceed a combined current of 5V 900mAh. 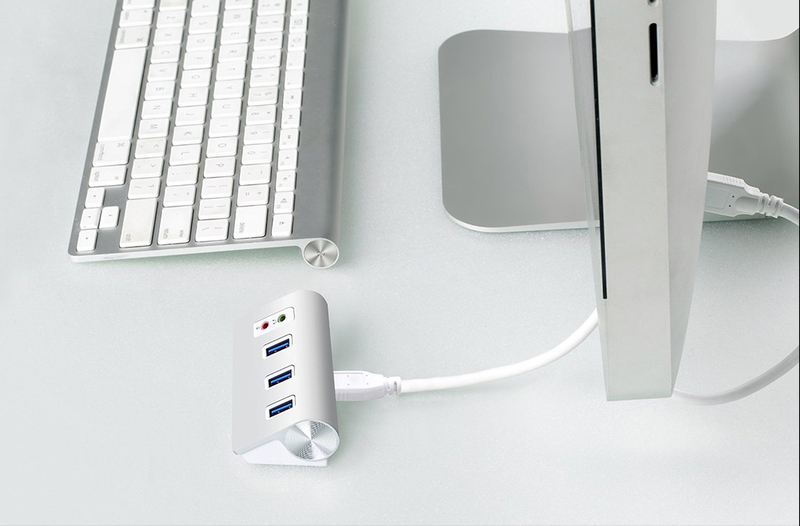 This hub is not meant to serve as a stand-alone charger.